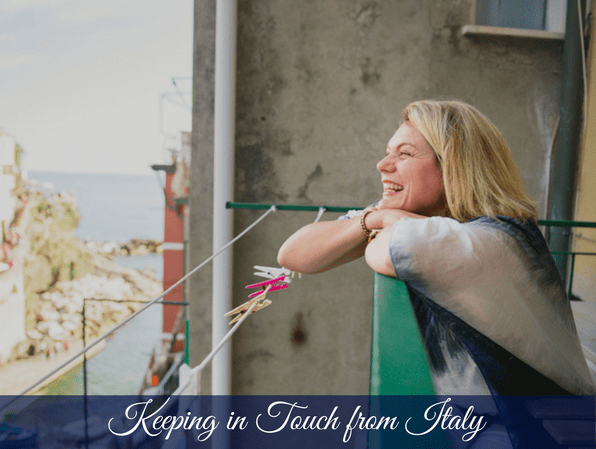 So you are planning to visit Italy and you want to know how you can easily stay in touch with your family and friends back home. Here are a few quick tips about ways in which you can easily stay connected without it costing you the earth. We’ll discuss Skype, We Chat, Facebook Messanger, Facebook calls and free WiFi in Italy’s city centres. There’s now great news for the traveller heading to Italy thanks to Free Italia Wifi.This national network has been hard at it setting up a huge number of free wifi spots throughout Italy including the city centres and regions with a growing number of hotspots throughout the city. A growing number of bars, cafe’s, restaurants and stores have come on board also, delivering free wifi to you for your travel convenience. Just one simple password login and you’re up and running. You can read more details about the free WiFi Hotspots in Rome, Venice, Cinque Terre, Florence right here. Personally, I love Facebook Messenger and Facetime to keep in touch from Italy. Choose to turn on your video or not, it’s up to you, but isn’t it a nice way to share with family and friends where you are and what you are up to. In my video below you’ll find just some of the ways that you can stay in touch for FREE so that you have more money to spend on your spaghetti marinara! Also, you should check out What’s App for free messaging. Whilst I am not a big user myself, Google+ Hangouts is an option also but I prefer to use Skype, not that it’s better, it’s just I am more familiar with this platform. These platforms are free but with them, you need to have an account set up and you should definitely do this before you head off on your travels. Take a look at the quick video to find out how and while you’re her you can see how we stay in touch from our Women’s Tours to Italy. Plan a trip to Italy. Access my free online workshop right here and start planning now.